IS YOUR LED RETROFIT SAFE? 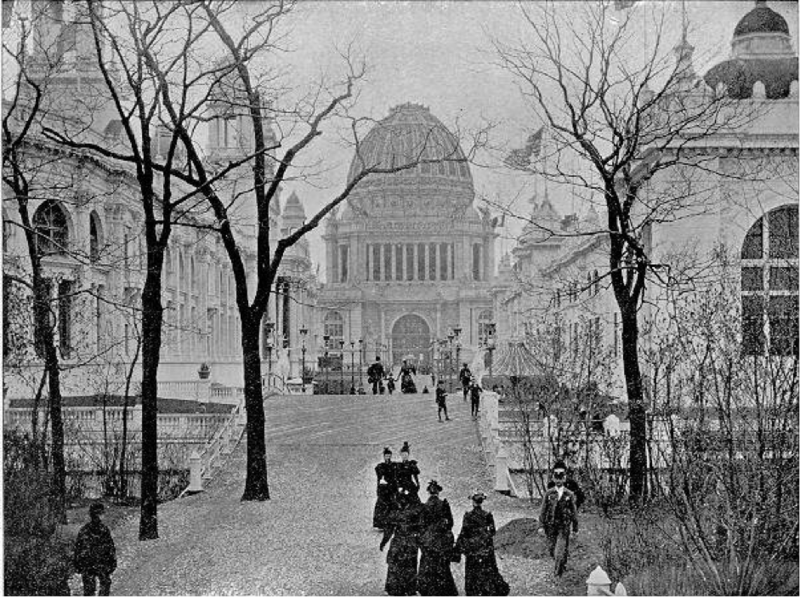 In 1893, electric light technology was put on display at the world’s fair in Chicago. These lights were installed inside paper-mache buildings, and Chicago earned the nickname ‘White City’. A lesser known fact is that lighting caught many of the paper buildings on fire. These fires resulted in the creation of Underwriters Laboratories, or UL. Now, almost 125 years later, UL provides a safe path for new lighting technologies to be installed into commercial buildings. That path is UL1598C Certification. Terralux goes above and beyond UL requirements when designing LED Retrofit kits to insure long-term safety and reliability. UL1598C certification provides building owners and managers a safety standard when considering LED Retrofit. Certified LED Retrofit products are labeled as UL ‘CLASSIFIED’. By using the word ‘classified’ UL can distinguish field-installed LED Retrofit products from Fixtures, which bear the “LISTED” mark, and LED Lamps, which bear the ‘RECOGNIZED’ mark. What Does UL LED Retrofit Certified Mean? These are the LED components that provide power conversion and light. These come in many shapes and sizes, and are typically designed for specific fixture types. LED Retrofit kits are evaluated in the same way as full LED fixtures, providing confidence in the field safety of the LED Retrofit. Electric Shock – Our LED Retrofit products are engineered to withstand serious amounts of electrical in-rush, like lightning strikes and power surges. Thermal Fold-back – Our LED Retrofit products have patented technology to continually measure the temperature of the LEDs, and dim them down should they ever reach a temperature in the field beyond ~85 degrees C. This is based on the LM-80 data of the LED chip, and protects both the LED and driver electronics from premature, heat-related failure. Telcordia Reliability – Telcordia process provides a roadmap for an extremely robust and reliable LED Retrofit. LED Retrofit Kits are typically designed for specific fixture shapes, sizes and light outputs. UL certification requires that LED Retrofit kits meet specific requirements for installation into various fixture types. These requirements typically vary between surface-mounted and recessed fixtures, open and sealed fixtures, and fixtures rated for dry, damp and wet locations. Interior volume of a fixture also plays an important role. Traditional light source is also a factor in the certification process. The UL classification label on the LED Retrofit Kit will provide information around the appropriate fixture types, lamp types and building areas where the LED Retrofit products can be safely installed. 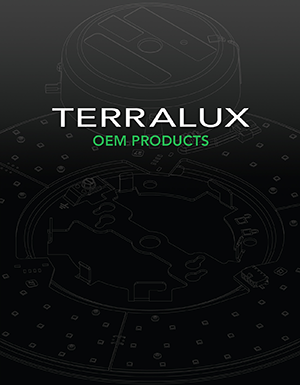 At Terralux, we design and manufacture a wide variety of LED Retrofit kits that fit many of the most popular commercial recessed downlights, wall sconces, ceiling mount fixtures, step-lights and more. By designing for the smallest possible fixture type, we are UL certified for small and sealed fixtures. 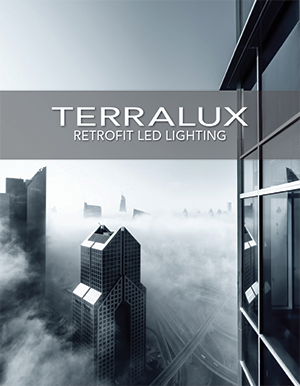 Professional installation of a Terralux LED Retrofit Kit. Installation hardware is also evaluated by UL to ensure that the installer has everything necessary to safely install the LED Retrofit kit. Typically this includes wirenuts and 8/32 screws for mounting to the fixture or junction box. At Terralux, we go beyond the UL requirement and provide a variety of installation hardware to ensure that the installation team has everything they need in the package, ensuring a fast and professional installation. We provide stainless steel self-tapping screws, that use a standard ¼” driver. These allow our kits to be permanently attached quickly to the backplate or reflector trim of the fixture. We provide large, winged-wirenuts, to accommodate multiple sets of solid core wire, most typically found in commercial buildings. For some LED Retrofit kits we also provide solid-core wiring whips, to accommodate a wide variety of mounting options and fixture types. We even provide a small cleaning cloth, allowing the installer to clear off dust and fingerprints when complete, truly making the fixture brand-new. The final piece of a UL Certified LED Retrofit kit is the installation instructions and process. This provides a certified path for installers to follow, to insure safe field-installation. While these instructions can vary in complexity from manufacturer to manufacturer, we strive to keep our installation process simple, fast, and safe. In many cases, the existing lamp-holders are yellow and brittle, and no longer suitable to make an electrical connection. We’ve even seen these crumble. Over time, the heat and radiation effects of Pin-CFL lamps can be highly damaging to lamp holders, and this equipment should not be reused. Ballasts present a different issue. Over the life of a building, ballasts are replaced with a wide variety of replacement parts. It is highly unlikely that 100% of the ballasts in any given fixture type are all exactly the same. Furthermore, LED bulbs that rely on existing ballasts, rarely meet their published wattage, and are only compatible with a handful of ballasts. In most cases, the only way to safely retrofit with LED bulb solutions is to remove both the existing lamp-holders and the ballasts. Terralux LED retrofit kits don’t rely on old lamp holders or existing ballasts. They are designed to permanently replace all the existing electrical hardware, and turn the fixture into a brand new fixture. It’s significantly cheaper to retrofit right once, than to retrofit poorly once, and then correct the installation later. Removal of old lamp holders and ballasts at Terralux installation. Terralux leverages a national network of qualified installation teams for commercial LED retrofit projects. 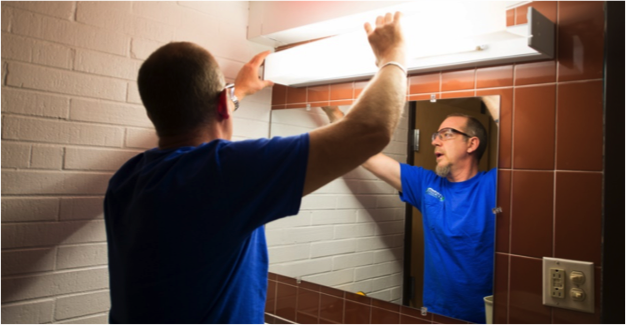 Our installers follow the UL guidelines for a safe LED retrofit. The installation teams insure that the electrical connections are made inside the junction box, or use a NEMA standard luminaire disconnect. Additionally, wire length inside the fixture is limited to 4”. This prevents unnecessary access to high voltage. Terralux retrofit kits provide multiple wire-pass options, and most typically reuse the existing wiring holes. Terralux also provides abrasion grommets to prevent any long-term issues with wiring. How can I tell if a LED Retrofit is UL Certified? UL certified LED Retrofit kits will be labeled with UL Classified mark. 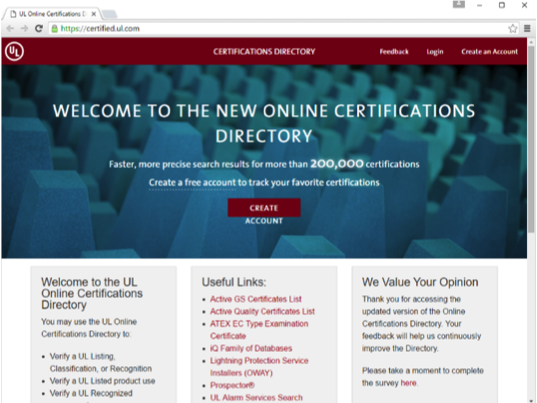 The manufacturer can also be looked up on UL’s Certification Database. How can I learn more about Safe LED Retrofit? Matthew Sallee is a entrepreneurial technologist based out of Denver, Colorado. He has spent 20 years in the B2B technology space – from large scale Storage Area Networking (SAN) labs to enterprise analytical platforms (ERP and BI). He has expertise in hardware-based solid state lighting components and IoT internet-connected building energy systems. 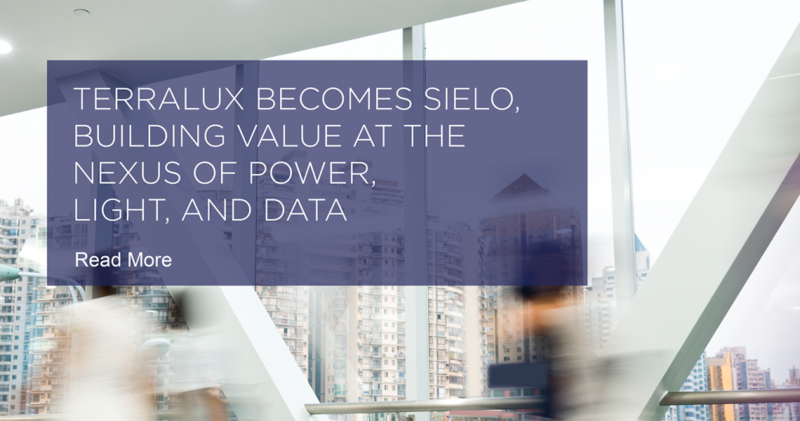 He has held various sales, marketing and leadership roles in Fortune 500 and start-up companies: Oracle, HP, Verizon, UL, and Core Project, and presently serves as the Director of Strategic Marketing for Terralux. Matthew has worked directly with industry to develop safety and energy efficiency standards : UL8750, UL8752, UL993, UL1598C, EPA ENERGY STAR® Certified Body & Recognized Lab Framework, as well as EPA ENERGY STAR® Luminaires 2.0. Matthew has been published in a variety of industry publications : LEDs Magazine, Arch SSL Magazine, TED Magazine, Solid State Lighting Design, and more. 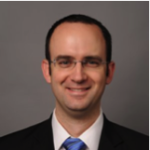 He has spoken internationally on LED Technology, LED Safety, Energy Efficiency, and IoT Technology.